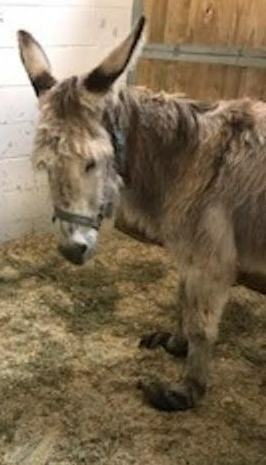 Update: 08/03/17: Sadly we had to make the decision last week to euthanize donkey #6. 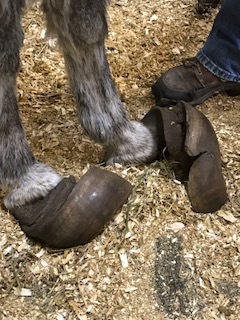 The damage to her front hooves from many years of severe neglect was just too great. 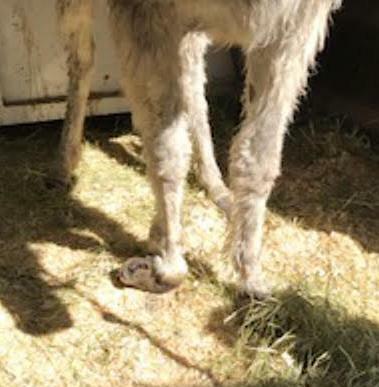 Her pain could no longer be controlled and we decided the kindest thing to do would be to release her from her suffering. The remaining 5 donkeys are doing well at this point and we are hopeful about their prognosis! 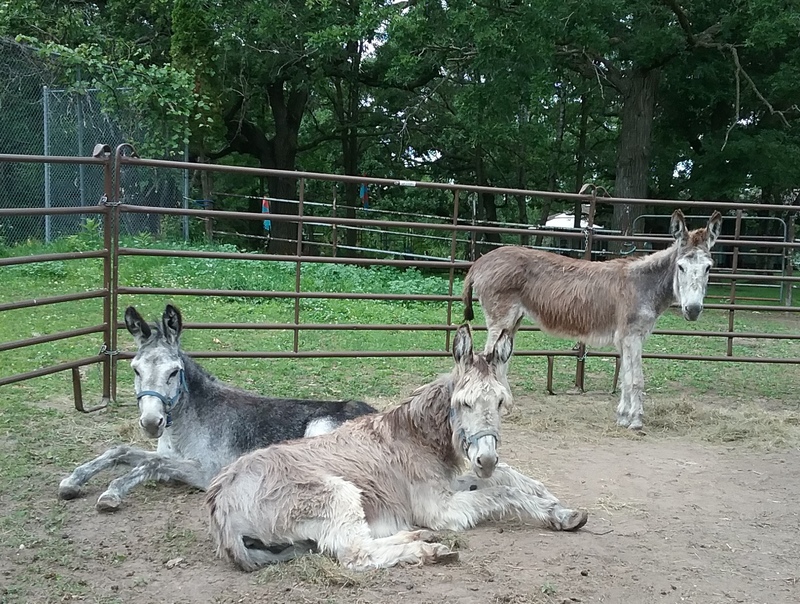 Update: 07/10/17: The six remaining Pine County Donkeys were released from Anoka Equine last week. 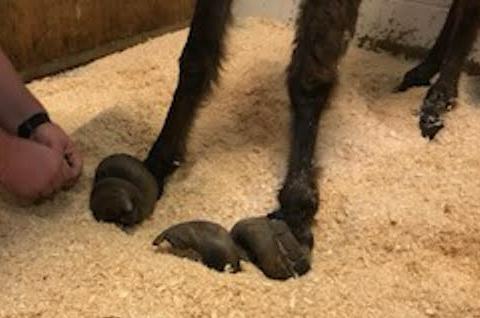 Three were taken to the main MHARF farm and three were taken to one of our main foster facilities. 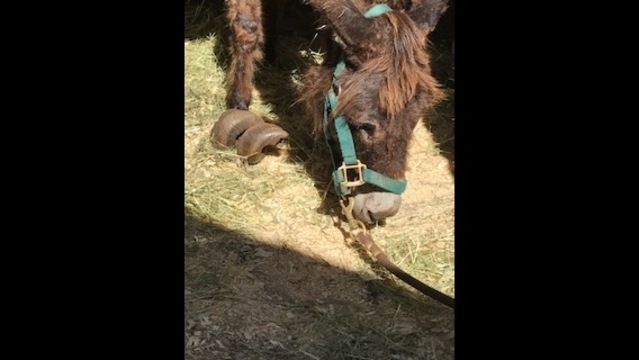 The donkeys are all doing as well as can be expected at this point. Their appetites are good and their attitudes are definitely brighter! 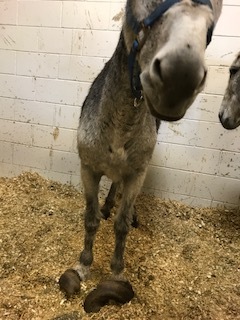 A couple of them will stand well for grooming and fly spray (and to get carrots)–but others are still relatively shy and hard to catch. 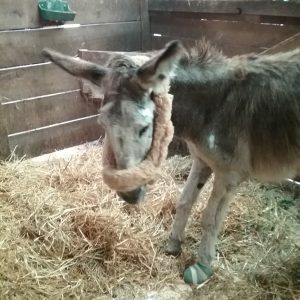 Their prognosis is still guarded as they continue their appointments with the farrier and the vet and are assessed for laminitis and other ongoing issues. 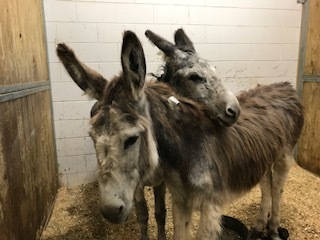 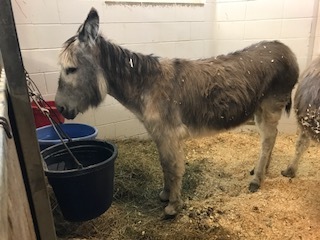 With the assistance of the Animal Humane Society of MN in a Pine County humane case, MHARF recently rescued seven donkeys who were suffering from severe neglect. 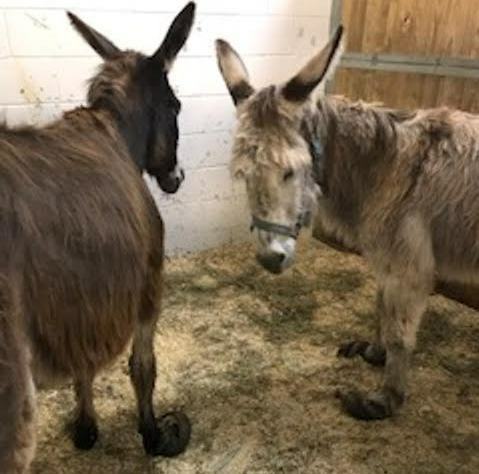 The donkeys were taken immediately to Anoka Equine Veterinary Services where they are currently receiving care. 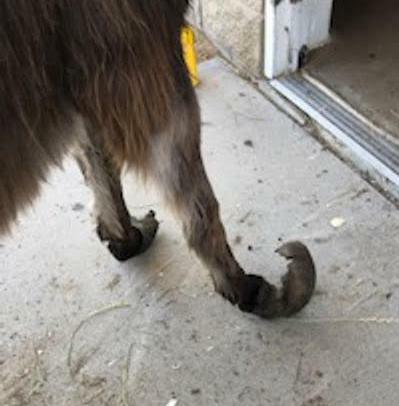 We have been able to remove the extreme excess hoof growth from all of the donkeys, as well as take radiographs of each one to assess the amount of damage. 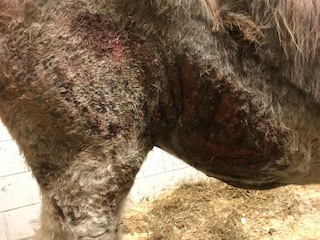 The one jennet in the worst condition was found to have severe chronic osteomyelitis (an inflammatory infection of the bone or bone marrow which occurs through the bloodstream and is most likely due to the existence of intracellular bacteria which attach to tissue.) 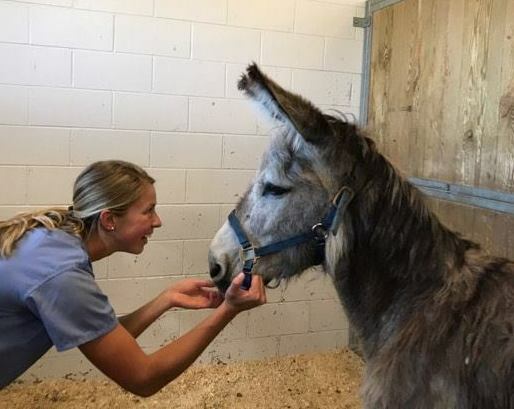 After witnessing the amount of extreme pain this was causing her and consulting with the veterinary team, MHARF made the decision to have her humanely euthanized. We will have updates on the condition of the remaining six (5 jennets and a gelded jack) soon. 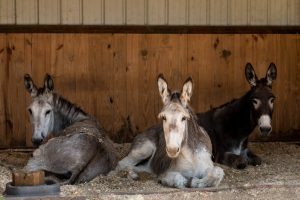 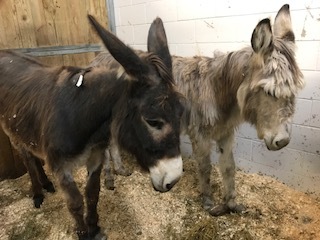 Please consider making a donation today to help cover the costs of the extensive farrier and veterinary care these poor donkeys will need to become healthy, sound and adoptable to new homes!